Allow your customers to see and select files online before you quote and before you recover data? Upgrade your existing client management system with new capabilities? Integrate with your data recovery tools and automate recovery processes and tasks that don’t need to involve your technicians? Give your customers online access to download files, avoiding the pressure and time needed for burning media and shipping? 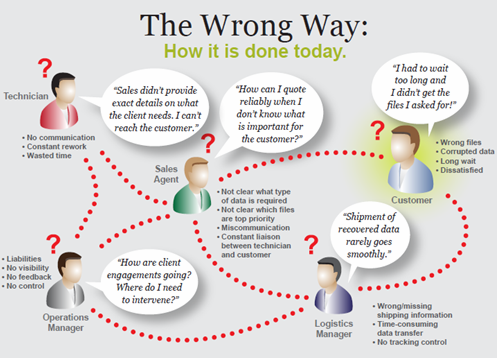 Give you a way to change your business model and charge for the work you do, not for the data you recover? You are a professional data recovery business and you probably already have client management systems in place. Well done. There are some new capabilities that you can integrate with your existing system to increase your competitiveness and operations efficiency even further. Or, if it is time to replace your client management systems, you may want to start new with a DeepSpar Operations Server custom build. You have a sizeable team, all with some responsibility for client management and client expectations – sales, technicians, logistics. You probably have some business processes in place, but have you really automated your business to the point where your process eliminates miscommunication, errors, liabilities, and dissatisfied customers? Centrally store data from technology tools, business management tools and client communication tools. 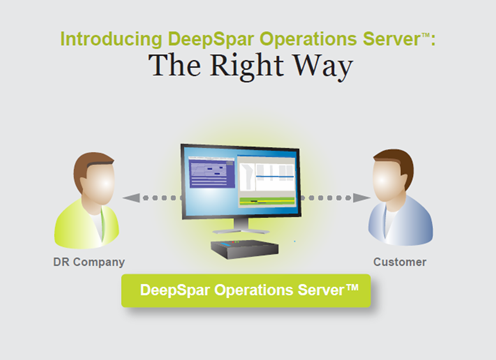 Learn More: Capabilities of DeepSpar Operations Server. Learn More: How it can change your business model. Learn More: Tour the DeepSpar Operations Server presentation. Contact Us: We can improve the automation in your business.